Battery-powered electric vehicles will not be greater than 3.2% of the market by 2025, constrained by a greater cost than traditional vehicles and a limited autonomy, according to a study by Oliver Wyman published Monday. In 2009, according to the study "E-Mobility 2025", less than 10,000 purely electric vehicles have been sold throughout the world. Also, according to the report the 2.5 million hybrid vehicles sold throughout the world is still "a marginal phenomenon" among the 850 million vehicles throughout the world. 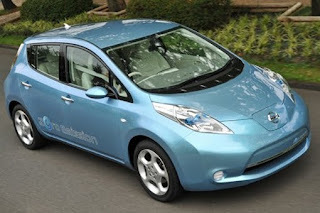 According to the study, in 2010 2% of the sales of new vehicles will be of those entirely or partially electric. In 2025, the part of this market would reach 16%, but 84% of vehicles would still have a traditional thermic motor (76 million vehicles). You can read the study yourself in English here and here (both pdfs), but to me it seems more of an informative study than a predictor of future events. One example is where it notes that buyers are most concerned about range and cost when it comes to an electric vehicle, and that only 13% would accept a range below 250 kilometres. This is true, and it recommends that vehicle manufacturers achieve a range of 400 kilometres or so (I also agree here), but the 2025 numbers seem to be based on the assumption that this range has not been achieved, and I'm doubtful that auto makers will fail to achieve a range of 400 kilometres within the next few years. So this report seems to be more of a warning of what could happen if incentives for electric cars or developments in technology are not achieved as planned, rather than what they truly believe will happen. Also keep in mind that the report still says that the market share by 2025 would be 16%, compared to today's number at a measly 0.1%. In other words, even according to a pessimistic view we will see 160 times more electric vehicles being sold per capita than we see now.